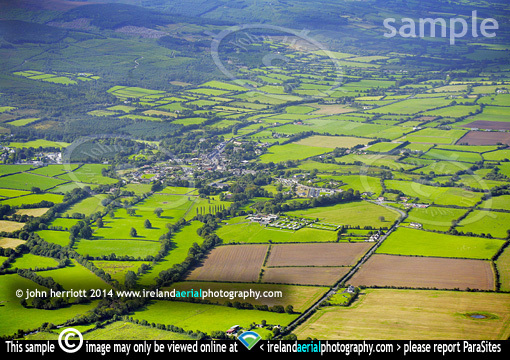 Clogheen aerial view, Knockmealdown Mountains, County Tipperary. Clogheen Co. Tipperary photographed while flying twoards the Vee in the Knockmealdown Mountains and returning to Cork Airport following a trip to Cahir on an aerial assignment. The road is heading to Ardfinnan.